Description: Cotton is a natural fibre of vegetable origin, like linen, jute or hemp. 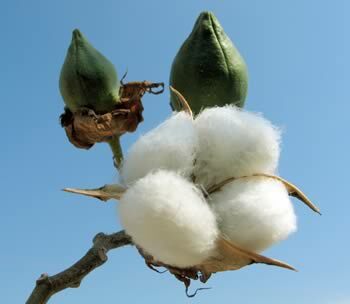 Mostly composed of cellulose (a carbohydrate plant substance) and formed by twisted, ribbon-like shaped fibres, cotton is the fruit of a shrubby plant commonly referred to as the "cotton plant". The cotton plant, a variety of plants of the genus Gossypium, belongs to the Malvacae family, which comprises approximately 1,500 species, also including the baobab tree, the bombax or the mallow. Harvest: For countries in the West African region, the planting season span through May-July while the harvesting period starts around October and continues till December. Northern Zone: Comprising of Kaduna, Katsina, Sokoto, Kebbi, Kano, Jigawa and northern part of Niger state. Eastern Zone: Comprising of Bauchi, Yobe, Borno, Adamawa and Taraba states. Southern Zone: Comprising parts of Plateau, Benue, Kogi and Kwara states. Of the three zones mentioned above, Northern and Eastern zones are considered as the major producing zones and account for 60 and 35 percent of the crop respectively. Specifications: The preferred grade of cotton lints is expected to have the following characteristics. Export market: According to International Cotton Advisory Committee (ICAC) data, China, the United States, India, and Pakistan as a whole have accounted for approximately more than 55% of global cotton consumption over the period 1980 to 2008. However, the major buyers from Nigeria include China, United Kingdom, Pakistan, Bangladesh, and Republic of Benin. Export Price: The FOB prices range from USD1,200-1,500 /MT depending on quality and time of year. Local price: The local market price per MT ranges from NGN110, 000.00 to NGN150,000.00 or more depending on the quality and the period of the year. The project will span from efforts to reduce hurdles for companies in shipping goods overseas, to adjusting trade policy with a blend of carrots (a push for new free-trade agreements) and sticks (tougher enforcement of trade rules). The near-term goal is to double US exports within five years. "For the first time, the United States of America is launching a single, comprehensive strategy to promote American exports," Mr. Obama told the annual conference of the Export-Import Bank, an institution in Washington designed to promote US trade. Getting that many more jobs from exports won't be easy, but new efforts on trade are very much needed, economists say. The most obvious reason is that America needs more jobs, at a time when consumer demand at home remains tepid. A second reason is that the world economy continues to become more competitive, which means that the US can't rest on its laurels as the world’s leading exporter of goods and services. 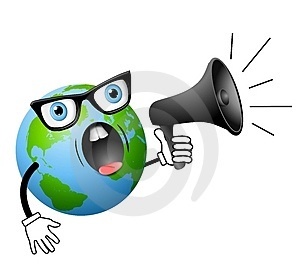 "Ninety-five percent of the world’s customers and the world’s fastest-growing markets are outside our borders. We need to compete for those customers. Because other nations are," Obama said. "We need to up our game." • He signed an executive order "instructing the federal government to use every available federal resource" to boost exports. The order created an "export promotion cabinet," made up of the secretaries of State, Treasury, Agriculture, Commerce, and Labor, plus the US trade representative and other officials. • He revived a separate body, called the President’s Export Council, and named Boeing CEO Jim McNerney and Xerox CEO Ursula Burns as co-chairs. The panel will make recommendations on trade policy. • Multiple cabinet departments will help create a "one-stop shop" for small employers that want help identifying opportunities and setting up operations overseas. The effort would include embassies and consulates abroad, as well as agencies like the Departments of Agriculture and Commerce. • Obama pledged to promote new free-trade agreements while also enforcing laws on the books, such as intellectual-property rights. "China moving to a more market-oriented exchange rate would make an essential contribution" to a more-balanced global economy, he said. That move could also help narrow the large gap by which US imports exceed exports. • The administration will increase access to trade financing. Obama commended efforts by the Export-Import Bank over the past year to step up its activities when US credit markets were impaired. In addition, Obama pledged to be a kind of salesman in chief for US companies, with him and his cabinet members plugging the virtues of "made in America" when they travel overseas. Next week, the president will take his export evangelism to Indonesia and Australia. The announcement about export strategy came as a government report showed a narrower-than-expected trade deficit for the US in January. Imports exceeded exports by $37.3 billion, with the volume of oil and automobile imports falling for the month. 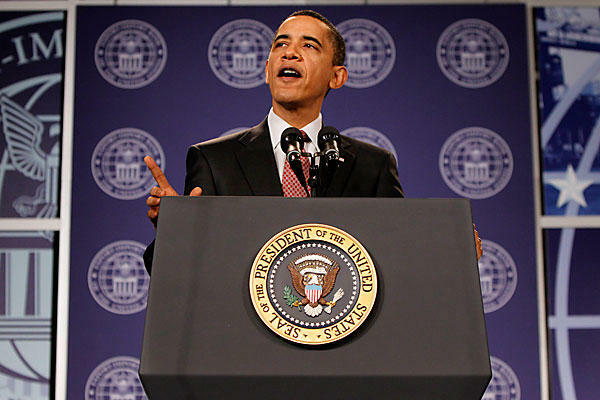 Obama first announced the goal of doubling exports within five years during his State of the Union address to Congress in January. Some economists, running the numbers, have said it's a difficult objective to reach. "During the last 25 years nominal exports never grew this quickly in five years; it took an average of 11 years for exports to double," economist Sven Jari Stehn wrote in an analysis for Goldman Sachs. Hitting the goal, he estimated, would require a combination of strong global economic growth and an adjustment of the dollar's value relative to currencies such as China's yuan. "If global real GDP grew by an above-consensus 4.5 percent during the next five years, the dollar would still need to depreciate by about 30 percent, slightly more than the largest 5-year real depreciation on record during the last 25 years," Mr. Stehn concluded. This doesn't mean that Obama's target is unreachable, however. And efforts to boost exports and achieve a more-balanced global economy could bring benefits even if his goal isn't reached. Nigeria is a nation with so great a potential to be the best economy in the world. Despite all her potentials, the people are daily suffering among plenty simply because we (both the government and the people) have not given the desired attention to sectors of the economy that will enable the populace create sustainable wealth. Many articles, publications and seminars/workshop have been organized to talk about this problem but very little has been done on the solutions. The few solutions proffered are not followed to the letter simply because the executives and MDAs in charge are not doing their jobs with singleness of purpose and desperation to make it succeed. However, with the political will of the presidency thrown behind this sector, we can still make a headway against all odds. 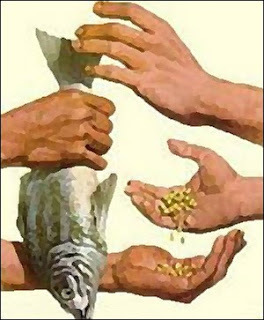 It’s no more news that we have experienced economic boom at one time in the history of our country, thanks to the export of Agricultural commodities. During this period, we were producing more commodities than we can consume as a nation and we therefore needed to sell them to other countries. So we brought in the hard currencies, strengthens the Naira, improve our balance of trade and create employment and wealth for our people. In our postings on suggested solutions to SME exporters’ problems, we named some agencies that needed to be established by law in order to facilitate the export business in Nigeria. For these agencies to be able to function effectively, we will suggest that all export related agencies of the federal government (both the old ones and the new ones that we suggested should be established by law on this blog), should be under the direct supervision of Mr. President. This is to enable this sector gets the desire attention it deserves from the presidency. Supervision by the presidency will show how important this sector is to us as a nation. The fact that the head of the export agencies have to report directly to the presidency on progress made will make them all the civil servants working with them take their job more seriously and thus achieve the targets set for them by the presidency. The presidency should come up with a road map and export growth strategy for Nigeria and personally monitors its execution. In one of the numerous speeches of the American president, he said every $1 billion in goods and services the United States exports "supports more than 5,000 jobs in the United States.” He also said that "So, the more we sell overseas, the more jobs we create on our shores," he said. "That's why, last year, I set a goal for this country: to double our exports by 2014. And it's a goal we're on track to meet." If American president could realize the impact of export despite their current economic status which is still ranked among the topmost in the world and "For the first time, the United States of America is launching a single, comprehensive strategy to promote American exports," I think as a nation, we need to learn from Obama and do something really serious about our Non-Oil export sector very fast. If the federal government is really serious about Industrialization, job creation, strengthening of Naira and growing the economy as projected, then exportation sector should be taken more seriously by the government and supervised by the presidency directly because of its immense benefit to any nation. On a final note, if you are reading this blog and you have access to the presidency or people in authority and position of power, you will do the nation well to point their attention to the valuable suggestions that we have made available via this medium. EARN 25-50% RETURNS ON YOUR INVESTMENT IN ONE MONTH !!! Description: Natural rubber, Para rubber, Hevea Brasiliensis, is a commercial tree economically grown in plantations. Para rubber plant is useful for the latex that bleeds from the stem in the event of wounding. The product of the coagulated latex is rubber. Rubber is important in the socio-economic life of many tropical developing nations, such as Nigeria and Brazil. Before the 60s, before the era of the oil boom, rubber was one of the agricultural commodities that were the main stay of Nigerian economy. The cultivation of rubber provided bulk employment for the people of the then Mid-West now known as the Edo and Delta states. However, rubber is not native to Nigeria. As the name suggests, it is an introduction from Brazil. Harvest: The harvesting (Tapping) or rubber is done during the dry season. Tapping normally takes place early in the morning, when the internal pressure of the tree is highest. A good tapper can tap a tree every 20 seconds on a standard half-spiral system, and a common daily "task" size is between 450 and 650 trees. Trees are usually tapped alternate or third daily, although there are many variations in timing, length and number of cuts. Locations: In Nigeria, Rubber is currently grown in Edo, Delta, Ondo, Ogun, Abia, Anambra, Akwa Ibom, Cross River, Rivers, Ebonyi and Bayelsa States where the amount of rainfall is about 1800 mm to 2000 mm per annum. Specifications: Naturally coagulated rubber (cup lump) is used in the manufacture of TSR10 and TSR20 grade rubbers. The processing of the rubber for these grades is basically a size reduction and cleaning process to remove contamination and prepare the material for the final stage drying. The dried material is then baled and palletized for shipment. Uses: Because of its elasticity, resilience, and toughness, natural rubber (NR) is the basic constituent of many products used in the transportation, industrial, consumer, hygienic and medical sectors. Of these major end-use markets for rubber, transportation is by far the largest single sector, with tyres and tyre products accounting alone for over 50% of NR consumption. Truck and bus tires would represent the largest single outlet for NR, followed by automobile tires. General rubber goods for commercial and industrial use account for the balance. These non-tyre rubber items include industrial products (for example, transmission and elevator belts, hoses and tubes, industrial lining, and bridge bearings); consumer products (like golf or football balls and other recreational and sports goods, erasers, footwear and other apparel); and articles for use in the medical and health sector (notably, condoms, catheters and surgical gloves) as well as seismic materials (for instance, over 500 and 2,500 buildings are respectively fitted with seismic rubber bearings in China and Japan). Latex articles (typically condoms, gloves, threads, adhesives, and moulded foams) could be included in different categories in terms of end-use. 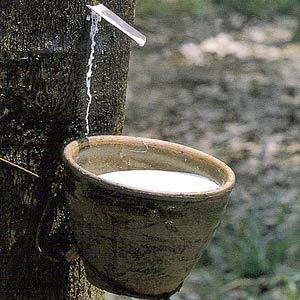 Export market: About 48% of the global demand for natural rubber comes from China, India and Malaysia which are three major natural rubber consuming countries within the ANRPC (Association of Natural Rubber Producing Countries) However, the major buyers of rubber from Nigeria include Canada, France, China, Netherlands, Italy, Germany, Malaysia, South Africa, Spain and United Kingdom. 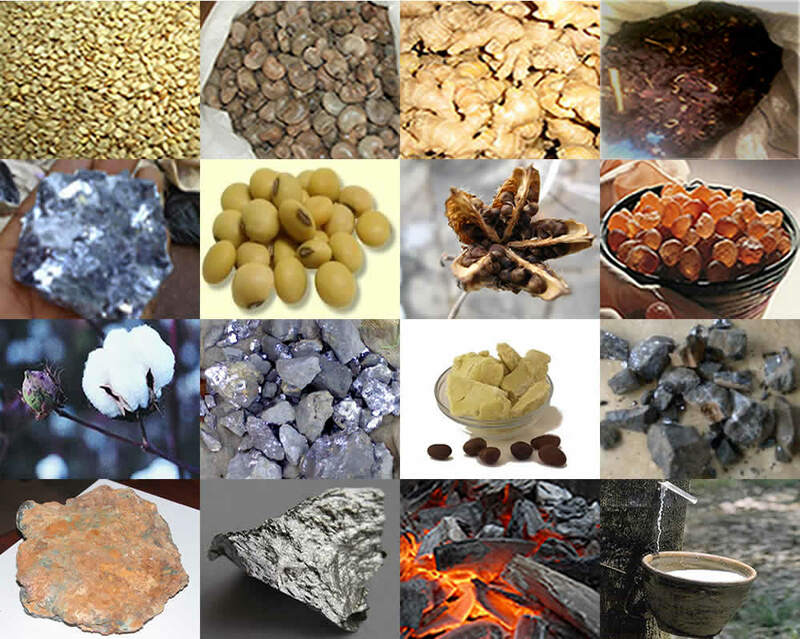 Export Price: In general the FOB prices range from USD2,500-3,000 /MT depending on quality and time of year. Too many players in the product supply chain. Fraudsters in the product supply chain. No functional exchange platform to facilitate product sourcing. a) This Exchange should create an online platform where registered sellers of commodities can post the item to be sold, specification and the ex warehouse price of the commodity. b) The online platform of the exchange should also enables registered buyers of commodities can post the items they intend to buy and the ex warehouse price of the commodity. 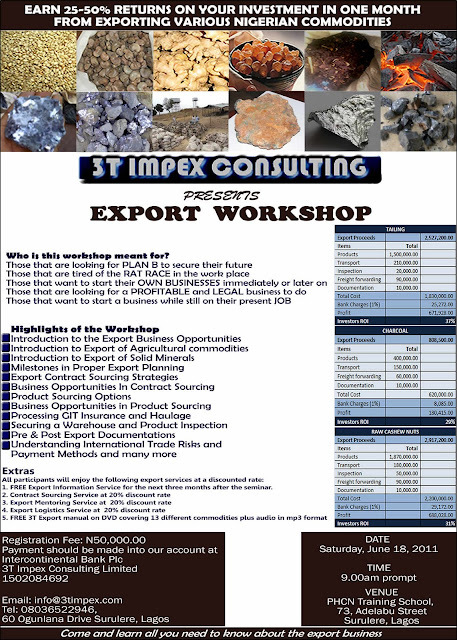 c) The registered buyers should be mainly exporters that have a valid export license from the Nigerian export promotion council. d) The registered sellers should be merchants that have verified structures and competencies to buy, grade and warehouse commodities in different parts of the country. e) The exchange online platform is programmed to regulate commodity prices based on the demand and supply of commodity as posted by the buyers and sellers on the platform. f) The exchange should issue a document evidencing sales or purchase via the platform upon conclusion of any transaction by the buyer and seller. g) This exchange must mandate the farmers and local buying agents to sell only to merchants who are registered sellers of the platform of the Nigerian Commodity Exchange. h) The exchange is to ensure that the buyer have taken the delivery of the commodity purchase on the platform and confirm via the online platform that the quality and quantity are correct as stipulated by the seller online before the seller’s account is credited. i) The exchange should set a maximum period for the receipt of the buyer’s online confirmation of product purchased to enable the seller’s account to be credited accordingly. j) The exchange platform should allow for the trading of derivatives as the commodity exchange market matures and develops to international standard. k) The Nigerian Commodity Exchange should have a firm handshake with the Export Products Quality Control Agency in their operations in order to ensure that the buyer have great value for the money paid for any commodity on this platform. 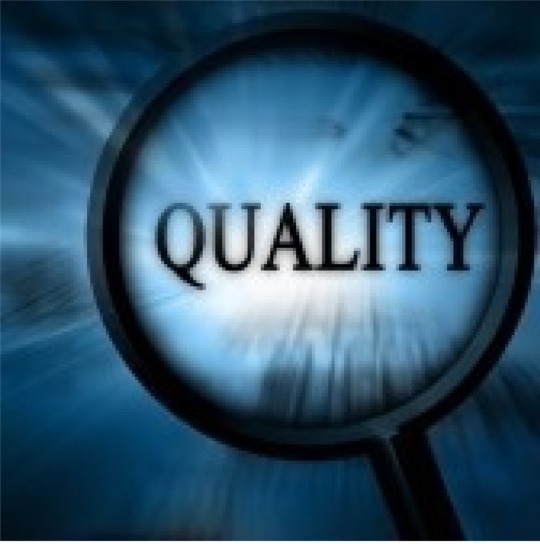 Inadequate infrastructure to control product quality. Reluctance of buyers to import from Nigeria due to Nigeria’s bad reputation of the qualities of Nigerian products in the export market. Reluctance of buyer to accept a secured payment terms and method like confirmed LC. The incompetency and unprofessional attitude of some inspection agents. Suggested Solutions- Government should make laws to establish Export Products Quality Control Agency. This agency should form an alliance with reputable and competent inspection agents abroad. In this strategic partnership, the inspection agents will be the technical partner while the Export Products Quality Control Agency will be in charge of monitoring and control of the products to be exported from Nigeria. Its staff should be drawn from the federal produce Agency under the Federal ministry of Agriculture, Nigerian Mining Corporation under the Federal ministry of mines and steel, NAFDAC, SON and any other relevant agencies. The alliances to be formed should be with relevant Inspection companies, for example, for the inspection of Agricultural commodities, the alliance should be with inspection companies like SGS, the agency should partner with companies like Alex-Stewart for Solid Minerals, however, for semi-processed and finished goods, this body should do the inspection through NAFDAC and SON whom I think are local government agencies that are competent enough to carry out the necessary quality and quantity inspection for both food items and non-food items respectively. a) The Export Product Quality Control Agency should inspect all products being exported out of Nigeria and issue a quality and quantity certificate to the exporter. b) This agency should establish a well equipped and reliable laboratory in 6 strategic states of the federation. The laboratories should be equipped based on the prevalent export products in the geo-political zones where they are located. This laboratory should be the first point of call for analysis of product samples before its gets to Lagos for final inspection and export. c) The quality and quantity certificate to be issued by this agency should be part of the document to be mandated for customs export clearance and shipment booking with the shipping line. f) The agency should organise a regular quarterly enlightenment workshop for exporters to train them on quality control best practices of different product and also intimate the exporters of any new development in the agency’s activities. g) The agency should set a minimum standard for all products to be exported out of Nigeria, train the exporters on how to achieve them and also ensure that this is strictly adhere to through their special task force at the port. h) The quality and quantity certificate to be issued by this agency should be part of the document to be mandated for the issuance of the Negotiable Duty Credit Certificate (NDCC) for the Exporter’s Export Expansion Grant from the Federal Government. i) This agency should have a warehouse located close to Lagos ports where exporters can bring their product for analysis before export. k) The agency should have their branded seals to be used to seal the containers carrying any product that they have inspected. The seal number must be stated on the Bill of lading of every exported consignment. l) The activities of the agency should cover all goods exported out of Nigeria via the sea, air and road/land borders. m) This agency should also ensure that all exporters (especially the Asians and other foreigners exporting any product from Nigeria) process NXP form through any Commercial Bank in Nigerian. A copy of this NXP should be part of the document to be presented and verified before the agency issue their quality and quantity certificate to the exporter. n) The evidence of purchase of commodities via the Nigerian Commodity Exchange should be part of the document to be presented and verified before the agency issue their quality and quantity certificate to the exporter.